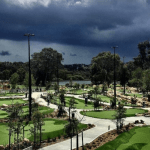 ‘Are miniature golf courses profitable?’ And who can blame you? While it’s great to be passionate about a new business idea, businesses can’t survive on passion alone. As is well documented, most new businesses fail within the first few years. However, a mini golf course can be a very safe and lucrative business investment. Below we’ll explore why miniature golf courses are profitable and how you can make sure yours is a profitable exercise. Why are miniature golf courses profitable? There are many good reasons why mini golf courses tend to be more successful and profitable than other businesses. In general terms, mini golf courses have a broad appeal and can be enjoyed by people of all ages and abilities. Whereas other attractions—such as go cart racing, arcades, water slides, paintball games, indoor rock climbing—often only appeal to a narrow section of the market. In business terms, mini golf courses are cheap to run, with very few staff required and low equipment costs. attract customers all year round. Mini golf courses tend to be profitable businesses—and sometimes very lucrative—because of their business model. But you can’t rely on a business model to ensure that your mini golf course will also be a success. There are steps you can take to make sure your business will be profitable. 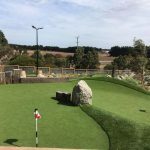 Getting a professionally designed mini golf course that looks amazing and plays superbly is a huge part of making sure your business is a success. A beautiful course will stick in people’s minds long after they have left. And a course with superior gameplay will ensure that customers have a great time playing and are more likely to return. In other words, if your mini golf course is memorable (for all the right reasons) it is more likely to be successful. 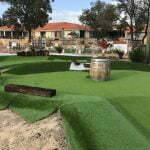 Mini Golf Creations can design a professional mini golf course to suit your needs. Contact us to discuss your course. 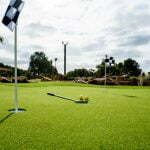 A high-quality mini golf course ensures value for money on your investment. Quality construction and materials will mean that your course will last a lot longer and require much less maintenance. Cutting corners on construction costs and materials is likely to come back to haunt you down the track. Getting professionals to build you a mini golf course is a great way to help make sure your business is a long-term financial success. We have built a number of high-quality mini golf courses—check out some of our projects. It’s never a good idea to go into a new business blindly. A big part of creating a profitable mini golf business is to research the industry, market and local area. For example, you don’t want to open a mini golf course right down the road from a competing business. With a strong business plan, your business is more likely to succeed. If you’ve never done a business plan before, there is useful information about preparing a business plan on the Queensland Government’s small business website. If you have a pretty clear idea of the size and scope of your business, you can use or Mini Golf Creations revenue calculator. 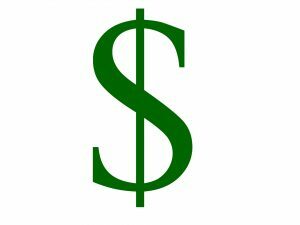 This will give you an estimate of your weekly, monthly and yearly revenue. You can use these results to work out how profitable your proposed mini golf business will be. It may also give you an indication of any areas of your business that need adjusting to maximise profits. 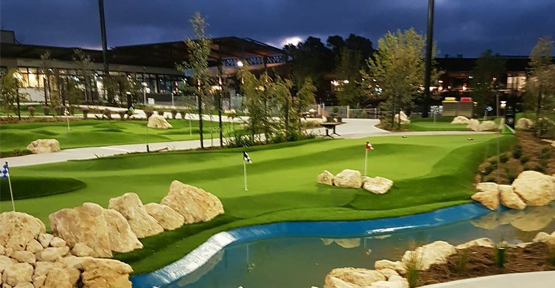 Mini Golf Creations was born out of decades of industry involvement and a desire to produce a superior mini golf experience.